• 4 Interlocking Pieces - Easy self assembly in 30 seconds. No tools or fixing kit required. 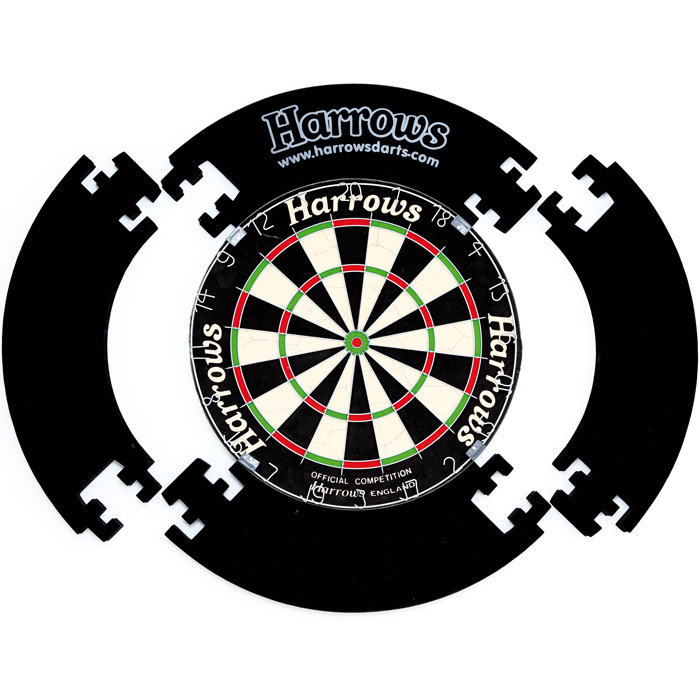 • Double sided for double life - Harrows logo printed front and back. • Deluxe velvet finish. 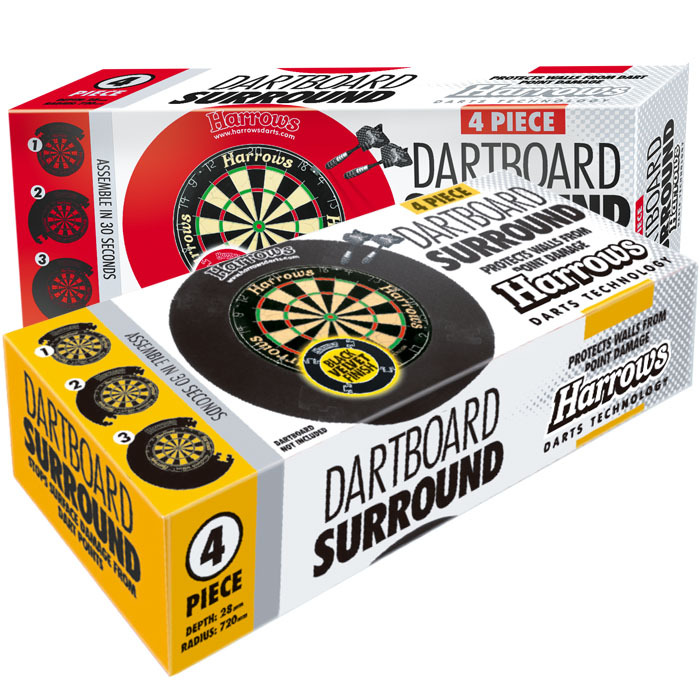 When stray darts are removed unsightly holes are invisible. • Compact carton - the full colour carton measures 525 x 210 x 150 mm and therefore occupies a minimal amount of vital retail space.